Who better to talk about collaboration and teamwork than the first quarterback to win four Super Bowls in a row? When Terry Bradshaw addressed the 62nd Annual Food Shippers of America Conference last month in Orlando, Florida, he told the group that he started out on his journey "the same as all of you – I’m a firm believer in hard work. I’m the middle kid who dreamed about being great, about being special." But you get there, said Bradshaw, "if you persevere, if you don’t mind failure, if you don’t mind being intercepted...when you’re knocked down, when your business is being regulated too much, when your profits go down." 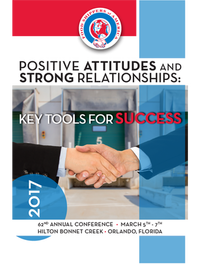 This year’s theme was "Positive Attitudes and Strong Relationships: Key Tools for Success." At 1,150 attendees, the 2017 conference was FSA’s largest, said outgoing FSA President Diane Van Wagner, The Dannon Company. Shippers, carriers and receivers are always working to realign and get to the next level of collaboration, said Van Wagner. "This is the place to do that, and to take it back to our companies." Your link will be valid for one year. 2017 Food Shippers Conference Speaker Presentation are Now Posted on Our Website. 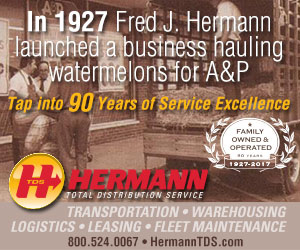 Go to the home page at www.foodshippersofamerica.org and at the top highlight "Events," then click on "Past Events." 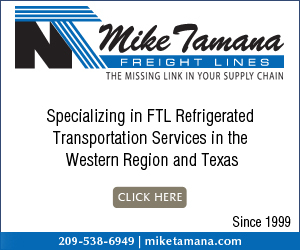 Click on 2017 and 62nd Annual Logistics Conference then "Presentations." For those who attended our 62nd Annual Conference March 5th-7th in Orlando and have not completed our conference survey please take a few minutes and access and complete the survey. We really value your thoughts, opinions and feedback. A new distribution center/warehouse for Frito Lay could be up and running in Maysville within the next few weeks, officials said Wednesday. According to Maysville Projects Coordinator David Hord, the company purchased property on Martha Comer Drive near the Public Works facility last fall. Part of the purchase agreement was that the company would build an access road to other city-owned property behind the warehouse site, Hord said. Riskpulse and Q Products & Services (QPS) have joined forces to create a market-leading, technology-led customer experience for temperature sensitive shipments. 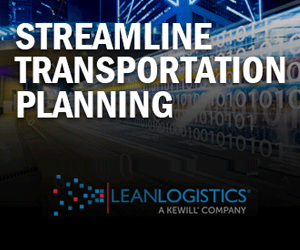 The partnership supports the complex needs of supply chain logistics by providing the global market with a new standard to quantify shipment risk. 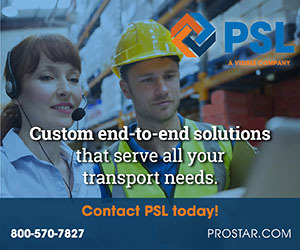 This data-driven approach provides shippers and carriers with a clear understanding of when and where to apply the optimal passive thermal protection solutions. Riskpulse provides its clients with a clear understanding of how weather impacts their transportation network. As sensitive products travel through the network, QPS helps ensure the temperature integrity is maintained along the way. Together, the industry leaders will guide shippers and carriers into making proactive and informed decisions about their supply chain. 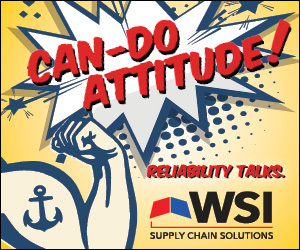 QPS and Riskpulse clients are empowered to take charge of the weather and confidently balance quality, risk and cost on every shipment by giving them the ability to: Perform historical lane analysis to challenge assumptions and surface overspending on shipment insulation equipment and modes. Visualize risk-by-route up to 10-days in advance and reduce manual effort of interpreting weather conditions across specific origins, destinations, waypoints, arrivals and departure times. 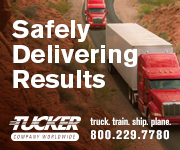 Act on missed savings opportunities by adapting to conditions and dynamically selecting the optimal protection based on cargo-specific tolerances. Qualify performance capabilities through real world temperature studies to instill confidence in passive solutions. When you think selflessness in this industry, that sentiment is usually paired with thoughts of the Allen Lund Company (ALC). As we move into 2017, the company is making good on that reputation by continuing its Acts of Kindness from last year. As Marketing Director Nora Trueblood recently said, the company launched this new year of opportunities with a team bonding event at its annual Manager’s Meeting. The event was held in La Jolla, California, from February 26 to March 2. Allen Lund Company sets up military care kits by TeamBonding at its annual Manager’s meeting. In late February, Unilever (UL, 0.44%) received a gigantic $143 billion merger offer from Kraft Heinz (KHC, 1.39%). The move dazed some casual observers: Could the corporate giant that makes Lipton teas and Hellmann’s mayo so easily be subsumed by an American rival? Unilever’s board thought not, and turned down the deal. But the rebuff may not be an ending so much as a harbinger of things to come. If investors get their way (and they usually do), it won’t be long before Big Food is forced to digest another big merger or two. Kraft Heinz, notably, is still hungry for a deal. And that has Wall Street fantasizing about concoctions no whiz in the kitchen would dare dream up. Should Coca-Cola (KO, 0.26%) buy Hershey (HSY, -0.43%)? Or perhaps Mondelez should? Maybe PepsiCo (PEP, -0.27%) will make a play for Kellogg. General Mills plus Pinnacle Foods (PF, -0.27%)? Kellogg acquires Campbell Soup? The possibilities are endless. Feeling like service is slipping in the temp control space? Temperature controlled trucking is going to be hot for at least a decade. Build a solid arsenal of service-first carriers, who can handle anything from food to prescription pharmaceuticals. 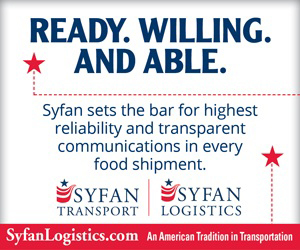 Trust the best at North American freight transportation. Trust Tucker Company Worldwide. In 2016, the grocery industry's future began to crystallize. Several recent developments point toward smaller stores with more space for pickup and delivery of online ordering. Amazon's first physical grocery store is a tiny fraction of the size of traditional ones, at 1,800 square feet. Kroger Co. (NYSE: KR) is moving closer to finalizing a deal that could potentially give it hundreds of Walgreens and Rite-Aid stores, reports the Cincinnati Business Courier, a sister news organization. The average Walgreens store is around 14,500 square feet; Rite-Aid stores are an average of 12,600 square feet. The Hershey Company (NYSE:HSY) today announced the appointment of Mary Beth West as its new senior vice president and chief growth officer. West will join the company May 1. 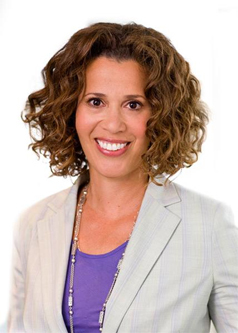 In her role at Hershey, West will oversee the company's growth strategy, including Insights and Analytics, Strategy, marketing excellence functions, Innovation, Research and Development, Mergers and Acquisitions, and The Hershey Experience. She will report to Chief Executive Officer Michele Buck. "Mary Beth will be a great addition to our executive team," said Buck. "She is an accomplished business leader who is considered one of the best food executives and marketers in the industry. Her deep experience in growing some of the world's best-known consumer brands and demonstrated ability to transform consumer engagement will be a tremendous asset to Hershey as we chart our growth agenda." Sanderson Farms (SAFM -2%) announces that sites in Texas have been tentatively selected for construction of a new feed mill, hatchery, poultry processing plant and waste water treatment facility. The company says the poultry facilities will have the capacity to process 1.25M birds per week for retail chill pack customers. Sanderson Farms expects to invest ~$200 million into the Texas project. Construction is scheduled to start this summer. If We Have Too Many Grocery Stores, What Does the Future Look Like for Publix and Kroger? The problems plaguing department stores and other mall-based retailers — too many locations and declining foot traffic — could be looming on the horizon for grocers like Publix Super Markets Inc. and Kroger Co. From office supplies to clothing and accessories, retailers across the spectrum have shuttered physical storefronts in recent years to concentrate on their best-performing locations and online sales. Grocers, for the most part, have been immune from that dynamic, becoming the must-have anchor for new retail developments as a reliable way to draw regular foot traffic.